Despite tensions between the U.S. and Russia, cooperation on projects in space will by necessity have to continue, at least for the near future. On April 2, as a result of tensions over Ukraine, the U.S. government announced that it was suspending all joint rocket and space programs with Russia — with the exception of the use of the International Space Station. In response, Russian Deputy Prime Minister Dmitry Rogozin, who is responsible for space and the defense industry, tweeted that the U.S. could “take advantage of the trampoline” to send astronauts to the I.S.S., alluding to the fact that the Russian Soyuz spacecraft is currently the only way to get equipment and personnel to and from the station. Developing American spacecraft will not be cheap. Currently, the U.S. pays Russia $71 million for each flight, but the projects with Boeing and SpaceX will cost $4.2 and $2.8 billion, respectively. Furthermore, such spacecraft are not developed overnight. According to NASA Representative Joshua Buck, the agency does not intend to halt its collaboration with the Russian Space Agency. “Space cooperation has been a hallmark of U.S.-Russia relations, including during the height of the Cold War, and most notably, in the past 13 consecutive years of continuous human presence on board the International Space Station,” Buck said in a statement. 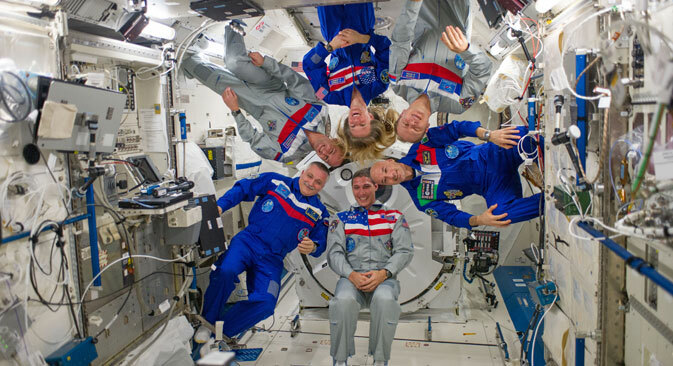 There is currently a contract in place for Russia to carry six American astronauts to the I.S.S. in the second half of 2016 and return them the following June. The cost of the contract is $424 million. Russian space development has also suffered as a result of the tensions. The manufacturing time of Russian satellites has increased by 8–10 months because of restrictions on the supply of American components. “Due to the sanctions, we will have to modify a series of instruments and equipment,” said Yury Vygonsky, the deputy general designer at Russian satellite firm Information Satellite Systems on Oct. 1. According to Vyvonsky, the company is now forced to look for substitutes for American components in China, South Korea and other Asian countries. Rogozin, for his part, says that collaboration between Russia and the U.S. in the International Space Station will not end in 2024 as currently scheduled, but four years earlier. He said that Russia will take the money saved by pulling out of I.S.S. obligations and direct it towards more innovative space projects. Russia-American cooperation on rocket technology is also suffering as a result of sanctions. Currently Russia supplies the U.S. with engines that power the Atlas V rocket, which carries most U.S. satellites into space. In May, Rogozin announced that, in response to sanctions enacted by the U.S., Russia could halt the supply of RD-180 and K-33 rocket engines to the U.S. In response, the Pentagon requested a report from an independent panel examining American reliance on Russian rockets and the potential for developing U.S. rockets. Air Force General Howard Mitchell, retired, who led the advisory panel, noted in the report that without the Russian RD engines, the U.S. would have to cancel satellite launches after 2016. An additional report is expected by the beginning of November with recommendations on developing U.S. rocket engine technology. Currently, both Russia and the U.S. are making plans to fly to Mars. Unlike politicians, the representatives from space industries in both countries would like to collaborate on developing technology for a flight to the Red Planet.